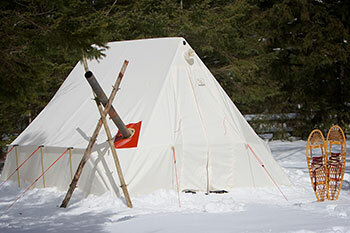 With design refinements that add ease of set-up and improve overall tent performance, the new Snowtrekker canvas tents continue to maintain their status as the flagship of winter camping tents. This tent is designed to have more head room, more room for cots and a taller door. The EXP Basecamp incorporates a new corner placement of the stove which will leave plenty of space for people and gear. Lightweight, portable, wood stove heat. 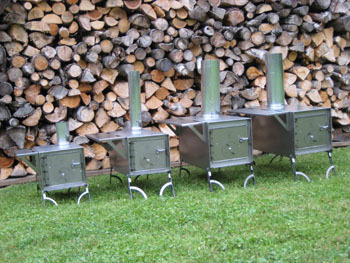 Snowtrekker portable wood stoves designed by Kni-Co for winter camping. Built with durable 22 gauge steel, these functional and efficient stoves are designed to work best with Snowtrekker winter camping tents. The legs are custom designed to use with wood log extensions for floatation on snow. 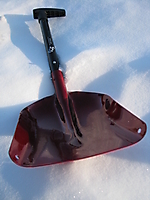 Note: All toboggans come with tump strap and lashing system. Inspired by the Conover’s “A SnowWalker’s Companion”, this toboggan is modeled after the early toboggans of Native Americans, trappers, and traders of the north. We require a 50% deposit of the total rental at the time the reservation is made. If a cancellation notice is given 3 weeks prior to arrival date your deposit will be refunded minus a $20.00 processing fee.